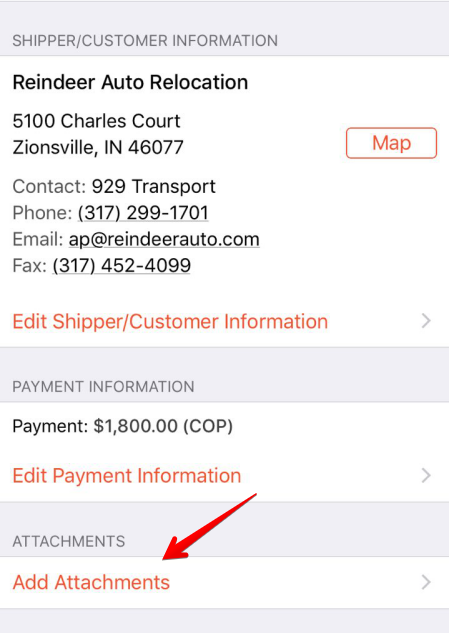 Super Dispatch users on iPhones can attach files from Google Drive, iCloud Drive, Dropbox, Box and etc. to an order. Scroll down and tap to the Add Attachments button. 3. If Super Dispatch asks for access to your photo library, please click OK.
6. 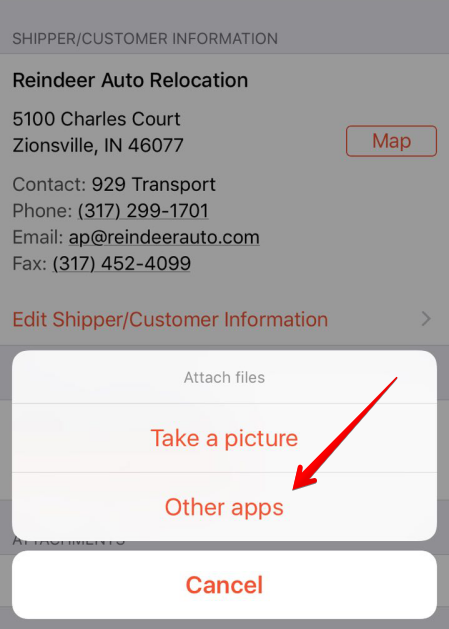 After uploading the file to Super Dispatch, the file will appear in the order ATTACHMENTS section. If you need Help or further assistance, please contact Support chat on the bottom right of the page.